Home Unlabelled BE AWARE OF 'KAMUTI' THIEVES IN THIKA! BE AWARE OF 'KAMUTI' THIEVES IN THIKA! I have just pounced on this poor girl crying after being drugged and stolen off her cash and cellphone. Aparentely, she left Limuru where she had gone to apply for her ID card. She arrived at Thika via Kiambu around 2pm, on her way to Garissa where was to report for a new job. 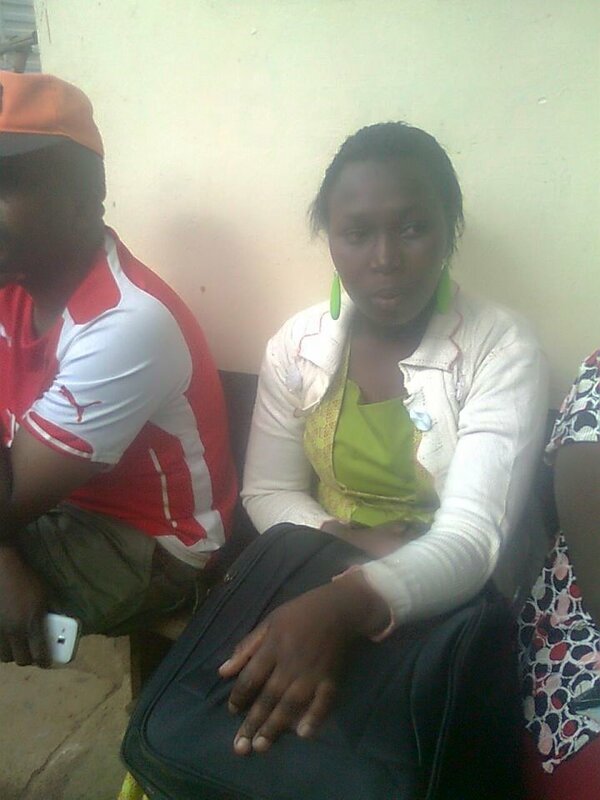 After being dropped near Kihanya Building, two men 'accidentally' touched her nose and PAP! That was it! She lost her senses and found herself near The Hindu Temple without sh. 5000 and her phone. In the place of her cash, she found herself holding an enveloped stacked with newspaper cuttings. Wellwishers assisted her to call a friend from Murang'a who promised to come over to rescue her.